Time for another linkfest. This one covers a wider variety from the Transformers world of accessories. This go around includes more 3rd party toys, Masterpiece improvements, news of upcoming releases, computer accessories, new TF book, and an interesting toy related video. ACToys posted a single image look at the TFC next wave of toys inspired by the Generation One Dinobots. The image shows a prototype look at not Swoop and not Grimlock. There is a rumor of a not Dinobot combiner but not sure if this is part of that or not. Alex Irvine, writer of Transformers: Exiles, InterviewThe next novel set in the War for Cybertron universe is out now. The writer, Alex Irvine, spoke with Suvudu about the novel. 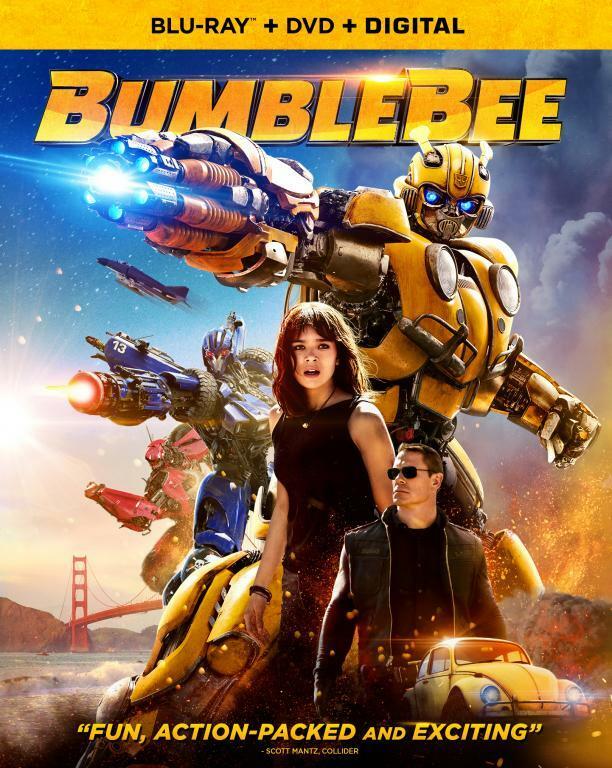 It seems, at least from the interview, that things are drifting away from the movies and now moving these prequel stories so the align more with the Transformers: Prime universe. 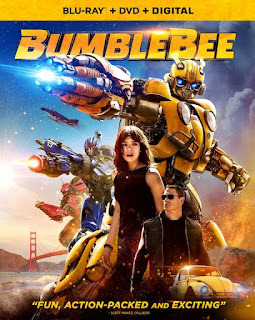 The movies may continue to inspire ideas (the Allspark, original Primes, etc) but it seems that for the purposes of Hasbro's current TF continuity, the Autobot experience on Earth will those depicted in TF: Prime. The Exiles story will explore Cybertronian colonies like Junkion, more about the Thirteen, and more about the Optimus and Prime conflict that is the heart of the civil war. Takara has revealed the next two figures of their Transformers Encore line. The line re-releases Generation One toys. This go around will be the Soundblaster (Soundwave repaint) and Twincast (Blaster repaint). 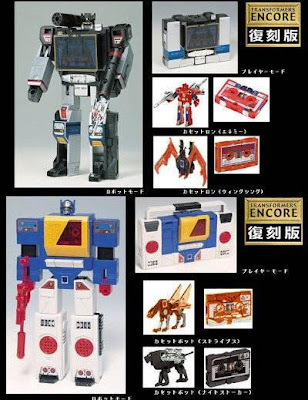 Both will come with two TF cassettes. No release date at this time. Hit the link for a look at the mini-version of Sixshot. WST stands for "World's Smallest Transformers" which was a line from about 7 or so years ago that Takara created. It took the G1 Transformers and shrunk them down to around to the size of a quarter. The line didn't last long but 3rd party manufacturers took up the slack and occasionally release additions, most of them close to 50 cent piece in size but tiny compared to the original piece it’s inspired from. It will be interesting if they retain all 6 different transformations that his character had. In the meantime, the next WST toy will be Astrotrain with the triple-changer being released sometime in November. 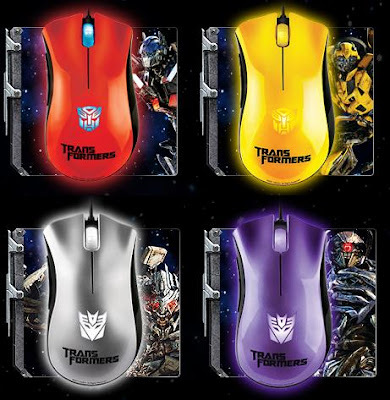 Razer has created officially licensed products around Transformers: Dark of the Moon for your computer. The non-transforming accessories include a mice, laptop case, and mouse pads. The primary color of the accessory dictates what character it represents so gray for Megatron, Purple for Shockwave, etc. The licensed accessories are not cheap but not bad looking either. TF Source has provided an interesting look at the TF knockoffs that come from Mexico. As long as there have been TFs, there have been copycats creating near identical looking toys that often have rather odd differences. 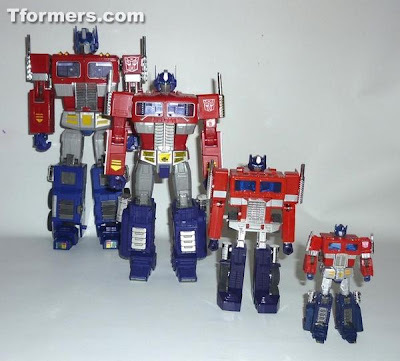 At the link is a gallery that compares the latest Masterpiece Optimus Prime mold with the previous along with the original G1 Prime and the Hybrid Style G1 Convoy. Toss in the WST Prime and you almost have the full scaling of the G1 version of Optimus. Speaking of the Masterpiece line, the MP Rodimus Convoy was re-released by Takara but with mold improvements that correct many of the problems the previous mold had. Sadly too late for some of us (like me) that paid a ton for first run but still good to see that Takara cares enough to go ahead and make the fixes. 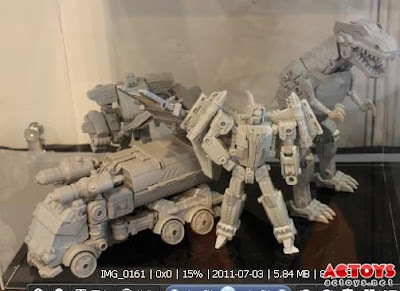 It seems that Takara has decided to continue their Transformers: United line using the latest Hasbro Generations toys along with a few older molds and repaints. Hit the link for mock-ups of the latest additions. An interesting video where the video created took photos of all his childhood (from 80s) toys and more or less morphs them from one toy to the next. The name is from the song used in the video but it should be noted that it seems Micael Reynaud had an impressive collection of Transformers and Go-Bots. He has also posted images and animated gifs of the transformations at his Google+ page. Lastest CGI video from DrSmoov using Generation One characters. The video is Megatron and the Decepticons hawking a new Energon drink. Very goofy but always like seeing the G1 characters in CG, not sure why.